The holidays are the perfect time to buy locally-made products from Maryland’s small businesses and entrepreneurs. By supporting the state’s artisans, crafters, and storefronts, you are guaranteed a unique gift for your loved one while also supporting the small businesses that make up the backbone of our economy. Remember that when you buy Maryland-made products, that money goes back into local neighborhoods and benefits the entire community. Here are our suggestions for buying local throughout Maryland. For those interested in starting a new hobby, consider Maryland Homebrew. 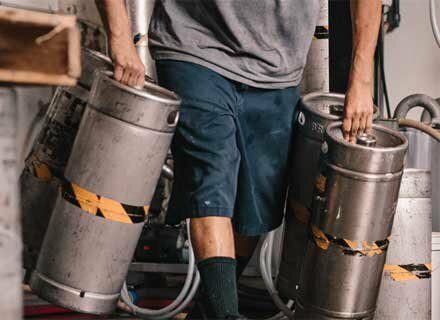 The Columbia-based outlet has a 6,750 square-foot facility dedicated to making beer, wine, mead, and more. This specialty store provides everything needed for brewers to go from grain to glass, all in the privacy of your own home. For those more interested in food, Maryland Homebrew also provides all the ingredients needed for making your own cheese. Forget heading to the market – there’s something special about making your own food and drink from scratch. From competitive athletes to leisurely strollers, Feet First Sports Inc. has served the Howard County running community for nearly 40 years. The company offers a variety of products – ranging from shoes to nutritional products – and promises knowledge and courtesy with every visit. Feet First also provides an analysis on pressure points to make sure runners have the perfect fit and support for all their orthotic needs. 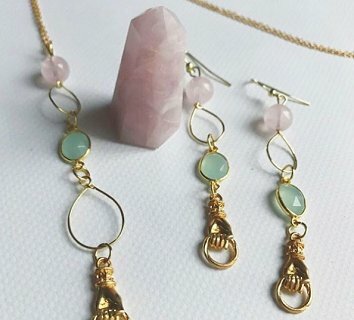 EaarthBones, a crystal jewelry and wall décor company, provides wearable art that allows customers to connect to their true selves and the world around us. Founded by Baltimore resident Rachel King, EaarthBones began as a form of meditation and has since grown into a successful vendor operation. Her collections are inspired by crystal meaning and energy transfer, as well as the stories passed down through generations. Catch EaarthBones on Etsy and exhibiting around Maryland in the upcoming weeks. You can also purchase her vegan creations in Keeper's Vintage in Mt. Vernon and Homegrown in Harbor East. For anyone looking for a little quiet time with their new addition, check out Kiss Kiss Goodnight, a new woman-owned Baltimore business that is disrupting the child skincare industry. The company’s new 3-in-1 baby bath gel includes a massage gel, milk cleanser, and natural moisturizer to help soothe baby to rest and relaxation faster than ever. 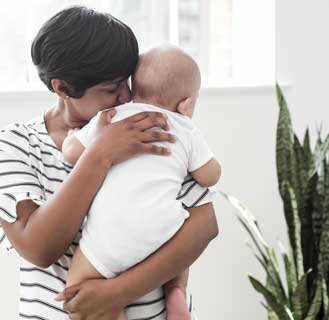 Founder Shelly Ann Winokur credits the natural, vegan formula and simplified nighttime routine for achieving a sleep baby. With her success, Winokur is looking to give back to those most in need through the Room to Read organization. Located in Western Maryland, Clatter Coffee is a small shop and social space in the heart of Frostburg. The house coffee comes from Basecamp Coffee Company, a locally-based micro roastery in nearby Cumberland. Clatter serves breakfast, lunch, dinner, and coffee, and co-owner Jon Felton has been collaborating with locals by bringing in musicians and performers to crank up the heat in this small town café. Stop by for a cup of Joe or bring home a bag for your favorite coffee enthusiast. The Providence Center, located in Anne Arundel County, is a non-profit that serves the needs of adults with developmental and intellectual disabilities. Inside is a shop called Gifts that Give, where jewelry is made by members of the center, and handcrafted pottery and woodwork items are donated by local small businesses. You are sure to find the perfect unique gift for that special someone. Purchasing from this product line helps support the Providence Center, as well as job development and community engagement throughout the region. The Country House of Salisbury has earned the reputation of being “worth the trip” from folks in and around Maryland. Located 30 miles from Ocean City, this shop is more than just a country store. With close to 21,000 square feet of space, this retailer has made itself a destination for unique gifts. From holiday decorations to seasonal décor, to candles, flags, and apparel, you’ll want to stop by the largest country store in the east. 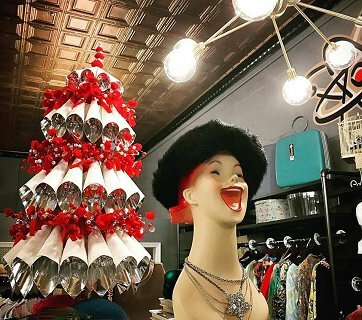 For the nostalgic, try Jo Retro Vintage Market in Havre de Grace. Authentic vintage items from the 1950’s – 1970’s are available in this downtown destination. 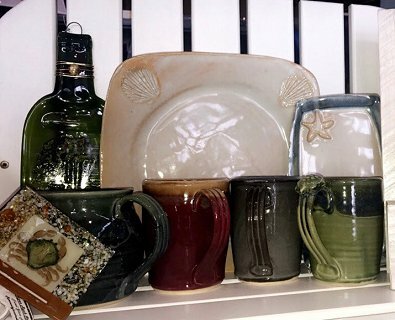 Pyrex, Mid-Century Modern furniture, clothing, and more are all available at this walk down memory lane retailer. Don’t miss out on the upcoming holiday specials, including Jo Retro’s holiday open house on December 8th. Looking for even more gift giving suggestions? Click here.